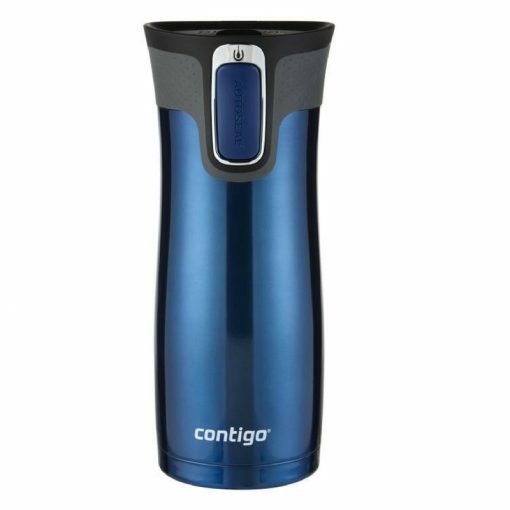 DEAL OF THE WEEK STARTING TUESDAY 6/4/19 – DUE TO EASTER HOLIDAYS THIS DEAL IS ON OVER THE WHOLE HOLIDAY PERIOD SO ALL THE CONTIGO WEST LOOP INSULATED COFFEE MUGS ARE REDUCED BY 30% FROM NORMALLY $29.95 TO $20.95 FOR THE WEEK. Option for $5 extra to have a name/text permanently marked on the lid. 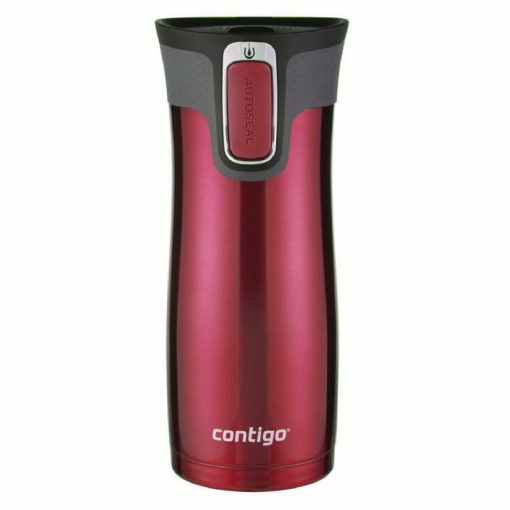 Perfect for anyone who don’t always get around to drink their hot drink just after its made – or need to bring it to work etc. It will be personalised/permanently marked on the small lock on top of the lid – perfect thank you gift for teachers etc., anyone who brings their coffee to work, as a personalised price to the winner of any competitions, Father’s or Mother’s Day etc. With name on it is also great to keep at your workplace as no one else will take it. Save money by bringing your own coffee to work instead of buying expensive take away coffee (also saves the plastic cups which just adds to landfill) – as it keeps warm up to 4 hours it will still be warm the first couple of hours at work. As this cup is leak proof and also is an easy one-hand drinking cup it is perfect to take in the car (fits in most cup holders) and safe to have next to your computer as in case you do tip your tea/coffee cup over no damage is done (talking for personal experience as when I by accident pushed a cup of coffee into my laptop a couple of years ago it costed me a new laptop!) – it will also keep cold for up to 10 hours so great if you prefer cold water. 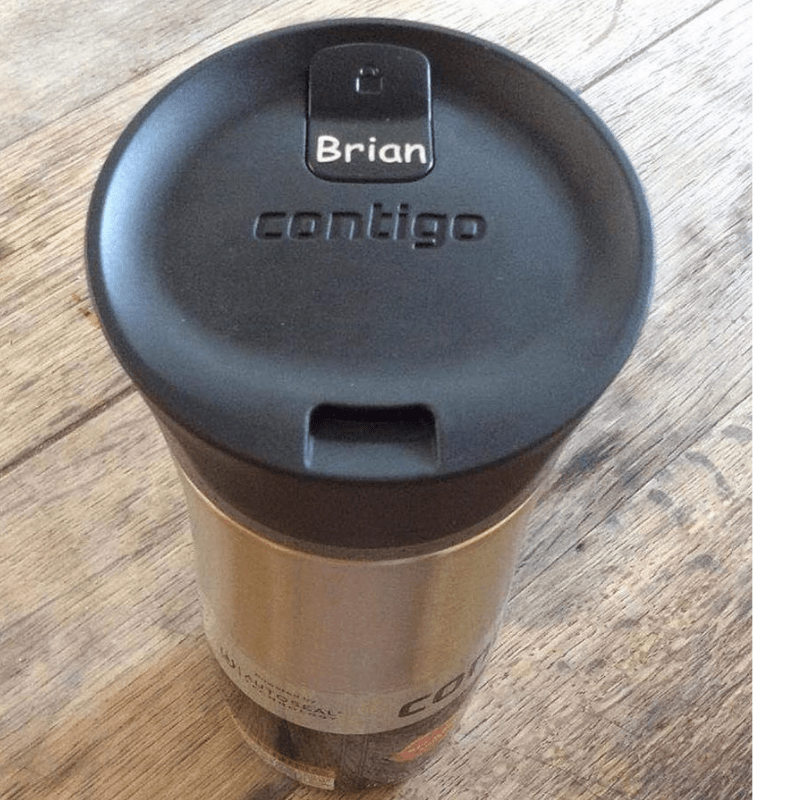 Safety lock on top of the lid, so you don’t by accident push the open button if you got the mug in your bag etc – this is where we personalise as well – and we will adjust the marking to how big a name/text you want marked. Takes app 470ml of fluid. Dish washer safe on top shelf – lid opens up for easy cleaning. 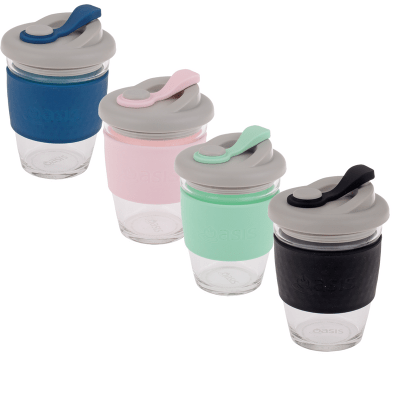 Option for an extra $5 to have a name/text permanently marked on the safety lock for the lid and due to marking on BPA-free plastic the colour of the marking comes up in a lighter greyish colour which stand out against the black lid. We love our West Loop mugs so much in our family. 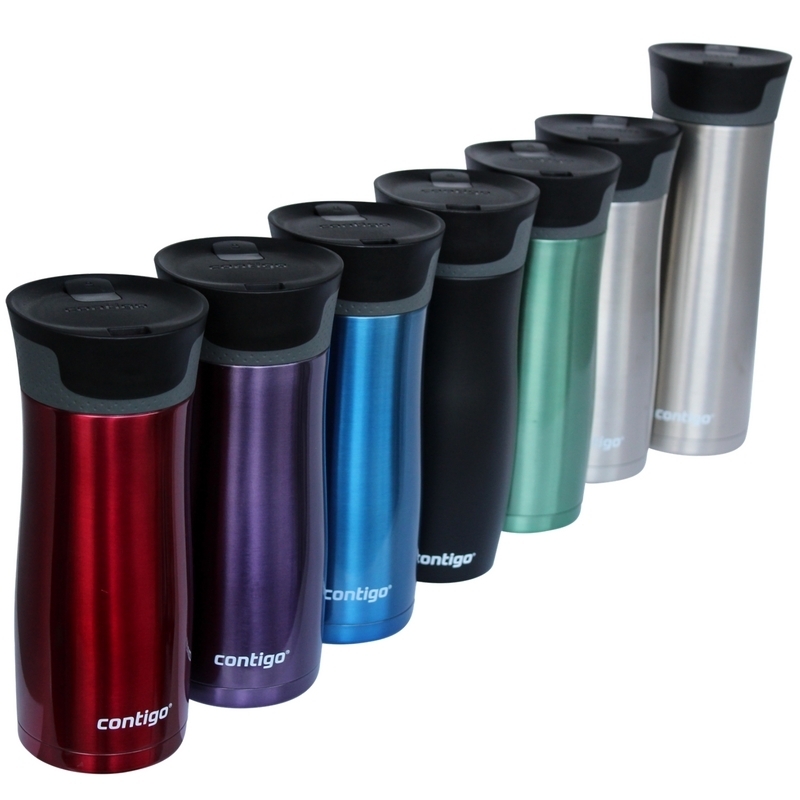 We use them for tea, coffee, hot chocolate etc as the really do keep drinks hot for hours. They never leak too, which is such a bonus when kids use them…and I love that they have the lock on top just in case. We’re looking forward to trying them in summer with cold drinks too. They’re are a great investment! Great for grabbing a coffee on the way to work! Stays hot for hours until I am ready to drink it. 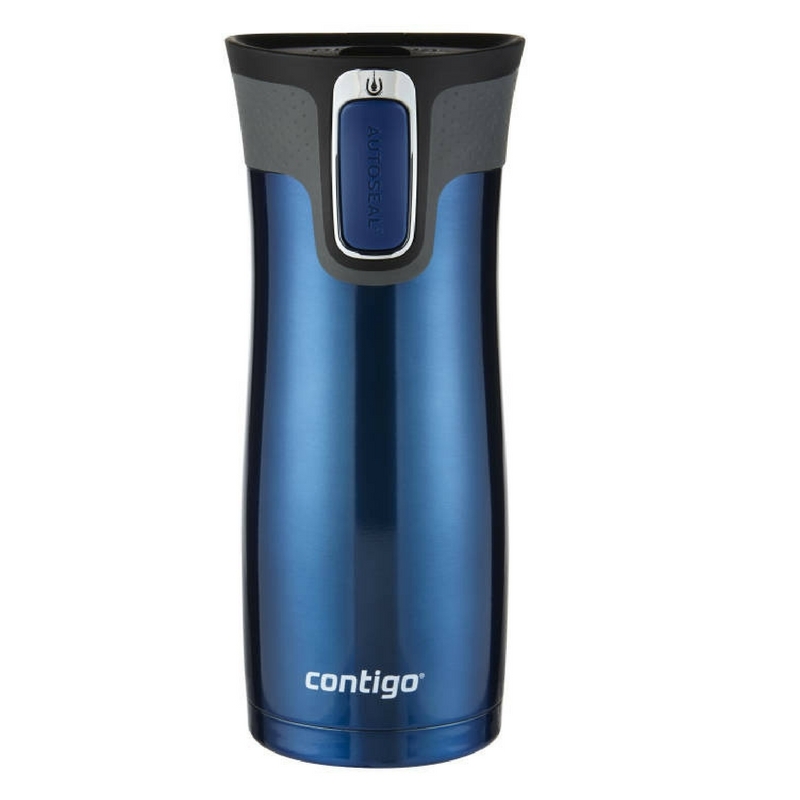 I love the locking feature too so I don’t have to worry about it spilling in my handbag. Cleans easily too.